I just got an old desktop from my brother and I am trying to upgrade it into a gaming pc. The first upgrade I want to do is to replace the HDD to a SSD and install OS and games on it. The point of installing OS and games on an SSD is the drastic reduction in load times, which occurs because the data transfer speed of SSDs is significantly higher than that of HDDs. 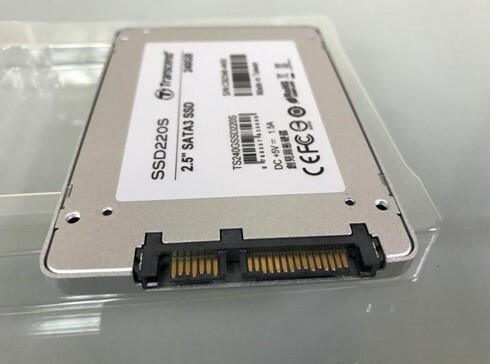 Here the SSD I have is the Transcend SSD220S, which is the first TLC SSD from Transcend for the entry level market segment. The SSD220S is currently available in 240 GB & 480 GB capacities and the one I have is the 240 GB version, which is big enough for all the OS and gaming files to store. 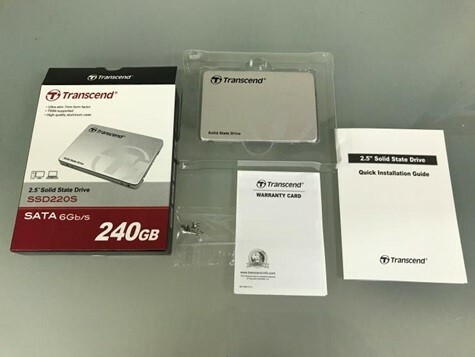 Besides the SSD, the package contains a warranty card, a quick installation guide, four fixing screws and some catalogues of other Transcend products. 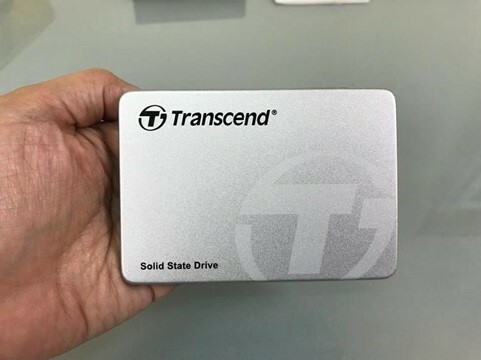 Transcend’s SSD220S is built on a standard 7mm, 2.5in format using a good quality metal enclosure. I like the silver aluminum design and the metal texture of SSD220S, which looks really classy. Moreover, the SSD220 is engineered with a RAID engine and LDPC (Low-Density Parity Check) coding and a powerful ECC algorithm, in order to keep your data secure. 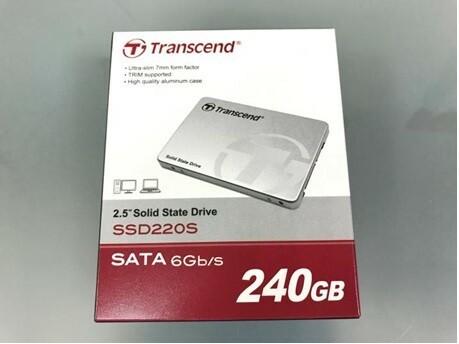 Built-in wear-leveling technology ensures data integrity during transmission, prolonging the lifespan of Transcend’s SSD220. Here you can see how the SSD220S performs after I installed it to replace the old 3.5-inch hard-drive. 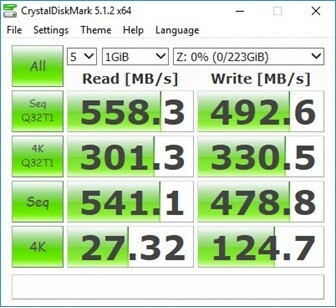 The drive confirms the official 550MB/s and 450MB/s read/write sequential performance figures in the CrystalDiskMark. The read speed was 558.3 megabytes per second, and write speed was 492.6MB/s. This is pretty strong for a budget SATA solid state drive and a lot faster than any mechanical disk, which generally delivers under 170 MB/s. As to the gaming performance the SSD220S effects, I can see great improvement from the in game load times, particularly if a game often has pop-in and/or loads/streams a lot of content throughout playing. 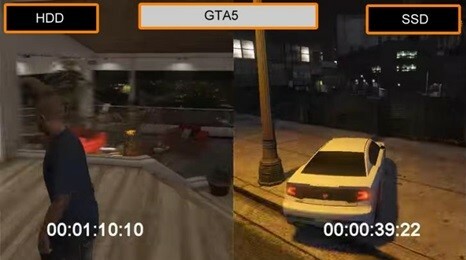 For example, previously when I played GTA 5, the load time was about 70 seconds, now it only takes 39 seconds. 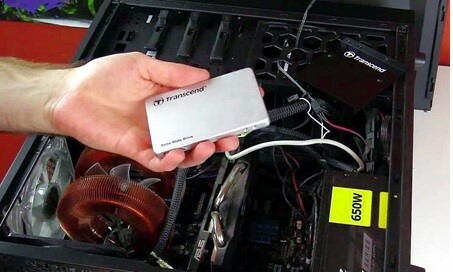 The Transcend SSD220S is an affordable and satisfying upgrade for gaming. Even if Transcend SSD isn’t the fastest thing on the planet, it’s still a huge upgrade from a traditional HDD. It is a great choice for re-booting your system to get a better gaming experience.